Class of 2k9 Author Interview: S. Terrell French | Shelf Elf: read, write, rave. San Francisco is very urban, and yet the kids I know here are very knowledgeable about and interested in environmental issues. I do think a chance to experience some wildness helps children connect with nature. Many schools are able to bring kids on field trips to parks, farms, or forests in the area (like Julian, who has visited the redwoods at nearby Muir Woods on a school trip). And of course, city kids can visit recycling plants, study their water system, and visit the dump to see what happens to the trash that’s thrown away. They can also study birds, insects and small animals in their parks or backyards. Describe your most memorable experience in nature. Once, I was hiking in the North Cascades in Washington State and just as we pitched our tents, we saw lightning and the forest below us burst into flames. We left our tents and hiked down the trail in the dark, with our flashlights. When I was 10, I spent a terrifying night on a tiny island in the Chesapeake during a lightning storm. There’s a storm scene in Operation Redwood that’s inspired by these two events! The media broadcasts a lot of scary, bad news stories about the environment. I think that some kids feel a real sense of doom about the damage we’ve done and are continuing to do to the environment. What would you say to kids that might help them to feel more hopeful about the future of our planet? Nature programs often end with a gloomy, but somewhat generic, warning about the loss of the habitats or animals depicted in the program. I think it would be more informative to show kids who’s fighting to protect these resources and what they’ve been able to accomplish. The more kids learn about the environmental leaders and what they’ve done – John Muir, Rachel Carson, the groups and leaders in their communities – the more they can see that change is possible. As a country, we’ve made progress on some environmental issues, like air and water pollution and forestry regulation. Kids today are much more informed and interested in environmental issues than when I growing up – they know about solar power and recycling and ecology and they will grow up and put their environmental values to work. One of the best parts of Operation Redwood is the incredibly cool tree house that the kids camp out in. What gave you the idea to bring a tree house into the story? Did you come up with the idea for the nifty pulley seat? Were tree houses a part of your research? The tree house was actually my sister’s idea! I knew I wanted to get the kids up in the trees, but somehow hadn’t hit on the idea of a tree house. Once I’d seized upon that idea, I immediately saw the house in my imagination. And our family happened to have a book about tree houses, with photos of amazing structures much fancier than the tree house in Operation Redwood. The pulley seat was inspired by a smaller chair at my kids’ preschool! 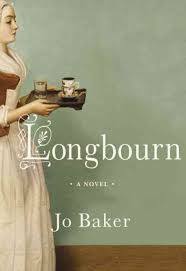 I love that your novel presents kids as powerful change-makers. Danny and Julian and Robin have strong opinions about what is right and wrong and they know what’s important to them, and what they hope the future will hold. 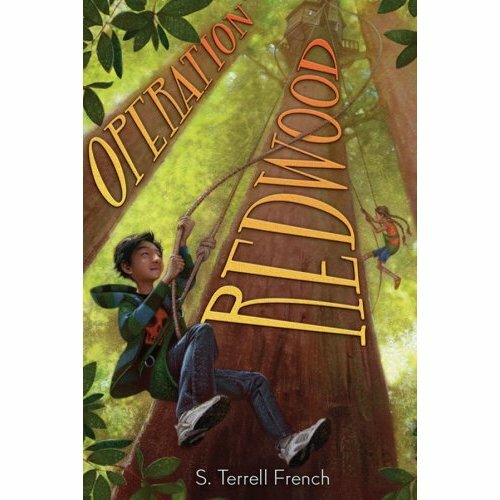 What do you hope Operation Redwood might teach readers – young readers and adults too – about having a voice and creating change? Working in environmental law, I’ve seen that the places that end up being protected are places that people care about passionately. Julian is not a natural activist. He has to see the redwoods and befriend Robin to really care about Big Tree Grove and, even then, it’s difficult for him to take a stand. Standing up for what you believe is risky and gut-wrenching. It’s easier to go along with the status quo. I hope kids will see that it’s important to know the facts about any environmental issue and see what’s behind the destruction of a natural resource – is the debate about jobs and community or about corporate profits? Often, as in Operation Redwood, those who are profiting most from destroying a wild place are not the people who have a deep connection to it. The Planet Earth DVD series put out by the BBC is inspiring because you can’t help but be amazed by the beauty and variety of life of Earth. The Wild Trees, Richard Preston’s book on redwoods, contains fascinating portraits of people who are driven by curiosity about the unknown world of the redwood canopy. It shows how little we know about some of the ecosystems right in front of us (or above us, in this case). Our country sent people to the moon 40 years ago, and yet nobody explored the unique world of the redwood canopy until recently. A big thank you to S. Terrell French for giving us the story behind her story. Operation Redwood is published by Amulet.